The functional medicine specialists at BioDesign Wellness are proud to offer cosmetic Botox® treatments for clients in South Tampa, FL. Years of frowning and squinting takes a toll on our appearance and make us look older than we are. Botox® is injected into these lines caused by frowning and temporarily smoothens them. The Botox® cosmetic injection temporarily reduces muscle activity to make you look younger. The injections targets underlying muscle activity, under the skin, to fight frown lines and crow’s feet forming between the eyebrows. When treating crow’s feet, the Botox® cosmetic injection is injected into 3 areas of the orbicularis oculi, the muscle that is found on the side of the eye. By injecting this area the muscles reduce the appearance of crow’s feet. To treat frown lines, 5 injections injection in the forehead are administered, 1 in the procerus muscle and 4 in the corrugator muscles. The Botox® cosmetic injection temporarily reduces the appearance of frown lines when injected into these areas in the forehead. With Botox® cosmetic injections you can expect results within 24 to 48 hours and last up to 4 months. The injection has been explained to feel like a pinch however; extra-topical cream can be applied for those who feel they need it. Based on the muscles in your face, the treatment usually takes around 10 minutes. By seeing a licensed therapist you can expect that the Botox® cosmetic injections will not change your normal facial expressions only temporarily stop frown lines and crow’s feet. Botox® cosmetic injections require no time off work or downtime, commonly called the lunchtime procedure you can get to work straight after the procedure. 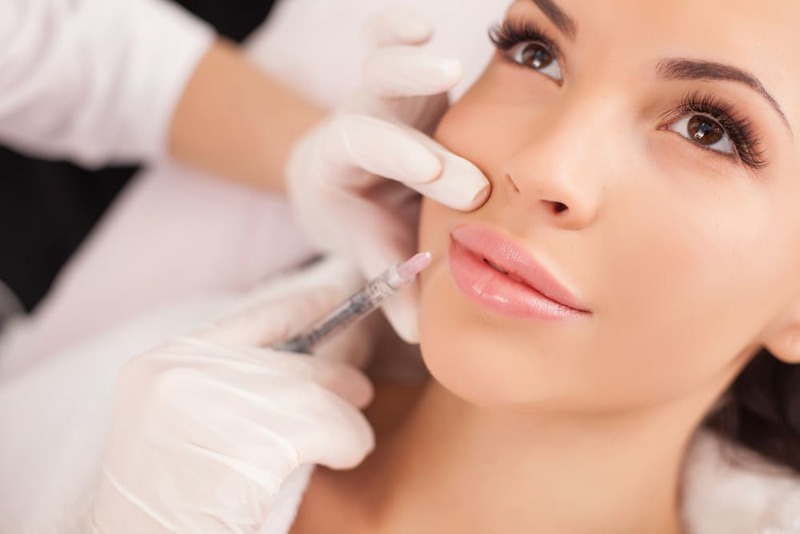 The cost of the injections not only covers the cost of the Botox® treatment but the expertise and qualification of the administering healthcare professional. Botox® cosmetic injections are highly sensitive, so looking for a qualified professional to administer the treatment is an important factor when looking at cost. Be aware of unlicensed people using cheap Botox® and risking your facial features. When looking for a qualified professional, be sure to ask plenty of questions and make sure you feel comfortable with them performing the procedure. Remember the results are difficult to reverse if you get cheap Botox® or use an unlicensed professional. To schedule a cosmetic Botox® appointment at our functional medicine office in Tampa, FL, click here to request an appointment or call us at 813-445-7770. We look forward to helping you look great on the outside and feel great on the inside! Ready to take the first step to enjoying life again? Fill out the form below or call us at 813-445-7770. Ready to experience the new you? Quickly fill out the form below or call us at 813-445-7770. Fill out the form below or call us at 813-445-7770 by July 31, 2018 to get this limited-time offer.